As a church or other religious organization, you want to set a good example for your community. Adding a solar power system to your facility demonstrates your commitment to environmental stewardship. As an added bonus, by reducing your reliance on the grid, you’ll save money on your monthly utility bills and help maintain power even during an outage. Solar panels for churches can be installed on the roof of your main building, as a canopy in your parking lot or in a wide range of other potential locations. At Empire, we specialize in designing easy-to-use renewable energy systems that are attractive and unobtrusive. Our engineers have installed solar panels on churches in Phoenix and throughout Arizona. 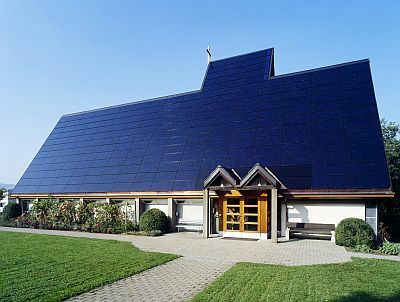 The benefits of solar energy for churches are clear. If you’re interested in adopting a forward-thinking, more sustainable power solution for your church, synagogue, mosque or other religious facility, give the Empire team a call today and book your initial consultation.